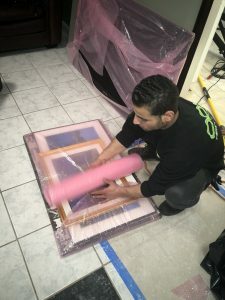 TRX water damage restoration provides Staten Island with emergency cleanup services 7 days a week 365 days a year. Our IICRC certified technicians respond will arrive within 1 hour of your call to assess and begin emergency cleanup services. Residential and commercial clients alike throughout Staten Island have trusted TRX Restoration for their water damage needs since 1982. TRX is an owner operated company with over 20 years of experience in residential and commercial disaster recovery services. We stand behind our work and proudly back our services with a 1 year Pro-Service Warranty. Your repairs will be expertly handled by trained and licensed experts utilizing the latest industry standards and technology. Insurance companies require detailed and overly complicated documentation to properly and timely process a claim for a loss stemming from water damage in your home or business. Your claim will be managed using industry leading software adopted by all major insurance carriers to provide a detailed break down of the repairs to your home or office. We will take detailed measurements and render sketches of the property. A detailed line item breakdown of the work to be performed will be entered on-site using insurance carrier accepted pricing models. 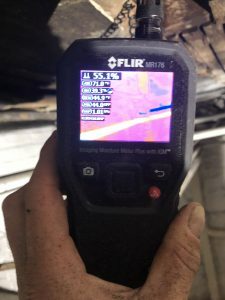 All documentation and findings will be supplemented with thermal imaging reports designed to establish proof and accurately assess the scope of the water damage. We always assist our clients in every feasible way to make sure the claims process is less complicated and that our work is done in a professional manner. Discuss the scope of repairs with your adjuster to establish coverage and obtain repair approval. 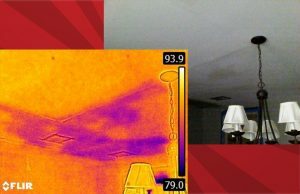 Document the damage using thermal imaging cameras and moisture mapping software to pinpoint the source of damage. Use our project tracking client portal to track your repairs in real time, monitor correspondence and documentation, get real time image uploads, and much more. Full transparency is at the core of our mission. Perform the work in a professional and timely manner consistent with leading industry standards and customer centric ideals. Guarantee our work for 1 year for most water damage related repairs. Meet with your insurance carrier on-site to ensure that proper coverage is obtained and all repairs are reimbursed under your homeowner’s policy. 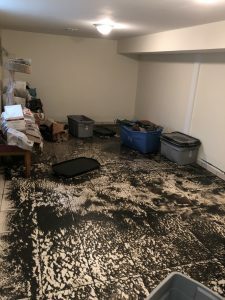 Water damage comes fast and leaves a large mess in its wake. We use structural engineering and drying technology to mitigate the damage from water in your home or business. Our goal is to bring your property back to its pre-loss condition. We expertly restore or repair most items in your home that were affected by the water. 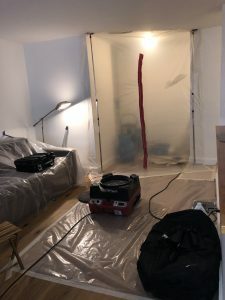 We use drying technology and restoration techniques to salvage and minimize damage to the following items in your home or business. 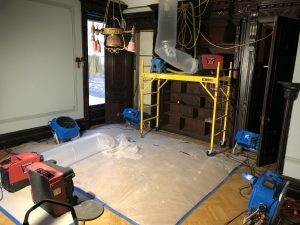 We expertly restore and repair hardwood that has been affected by water damage to prevent cupping, warping, and shrinking and to minimize costly replacement. Using the Injecta-dry® hardwood drying system we are able to remove excess moisture from the flooring and subfloor. We have saved 10,000s of thousands of square feet of hardwood floor. The key is to start drying as fast as possible to prevent damage progression. Removing water from your basement requires swift and immediate action performed by a certified team to prevent further and additional damage. Our team will be at your door in under 1 hour and begin the necesary measure to extract the water standing in your basement and dry out procedures to mitigate further damage. 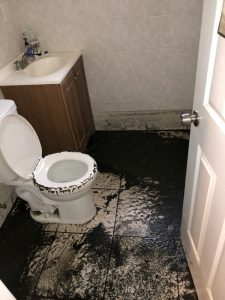 When sewer lines backup into our homes or business the results are catastrophic posing health hazardous bacteria and odors that make staying in the property near to impossible. 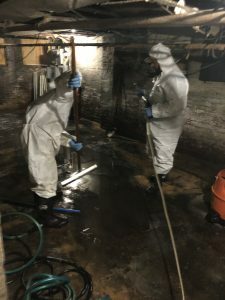 Our expertly trained hazardous emergency response team will provide all necessary measures to safely remove, disinfect, clean, and dry your property if you have a sewage or wast backup. As a member of the TRX team, we will arrive promptly with the right equipment for the job. 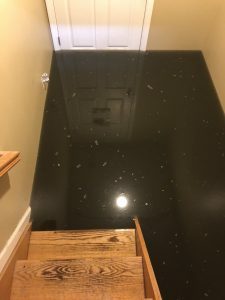 Before you can even begin to worry about the consequences, a professional team is working on repairs, restoration and remediation of any structural damage caused by water and after-flooding problems such as cleanup of raw sewage, removal of standing water, restoration of your hardwood floors, and taking the necessary steps to ensure mold growth is prevented or removed if identified. 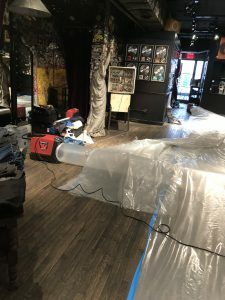 The team at TRX water damage restoration will employ industry leading drying and restoration methods to return everything to normal and get your home or business back to its pre-loss condition. Even just a few inches of water can generate a serious threat to your family’s routine and interrupt business operations. 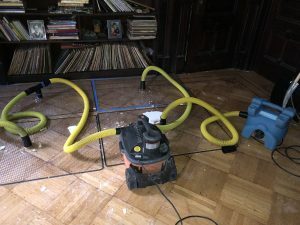 Once water enters structural materials like drywall and wooden floors it begins to rot and deteriorate until minor damage turns into costly mistakes. The common causes of residential flooding include severe weather, clogged toilettes and sinks, poor drainage, burst pipes, broken dishwashers, broken washing machines, water left running and malfunctioning appliances. Leaks in the water heater, air conditioner and fire sprinkler system can also cause extreme damage if left unattended. 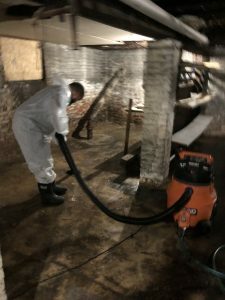 It’s important to choose a professional remediation company, or your family or business could face expensive repairs and health risks from water borne bacteria. Not all flooding is immediately apparent or overwhelming, and that’s where many people make the mistake of failing to deal with the problem immediately. The faster you call, the more damage you can prevent and the easier less expensive it becomes to repair. Each water intrusion event is unique, so you need to call the professionals to handle the problem competently. There could be safety hazards from structural components that may collapse, biohazards, sanitation risks and odor-control problems that most families don’t consider. TRX experts understand all the risks and act quickly to prevent further damage and make repairs. 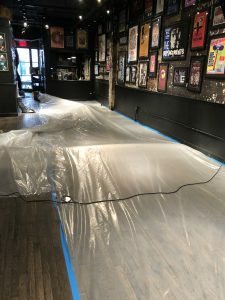 The team is certified in both Water Damage Removal and Restoration and Applied Structural Drying Techniques. Don’t sweat the details when it becomes necessary to deal with flood removal and water damage cleanup. 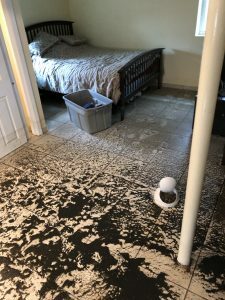 Make sure that everyone’s safe, turn off the main water line, and call TRX water damage restoration to get professional cleanup and water damage restoration services, repairs and remediation started. Instead of facing a nightmare scenario, you can be enjoying your home. Local water damage & flood cleanup experts.